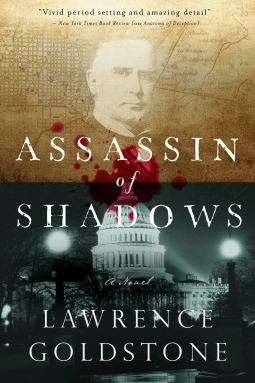 The latest historical thriller by New York Times Notable mystery author Lawrence Goldstone plunges readers into the dramatic events surrounding the assassination of President William McKinley. Both law enforcement and the press insisted that Czolgosz was merely the tip of a vast and murderous conspiracy, likely instigated by the “high priestess of anarchy,” Emma Goldman. To untangle its threads and bring the remaining conspirators to justice, the president’s most senior advisors choose two other Secret Service agents, Walter George and Harry Swayne. What they uncover will not only absolve the anarchists, but also expose a plot that will threaten the foundations of American democracy, and likely cost them their lives. Lawrence Goldstone is the author or co-author of more than a dozen books, and has written for the Wall Street Journal, Los Angeles Times, Boston Globe, New Republic, Chicago Tribune, and Miami Herald.